“Sonos Spins into Control,” Santa Barbara Independent, Matt Kettman, August 27, 2015. "Sonos builds beyond its bass," Fortune, JP Mangalindan, June 25, 2012. 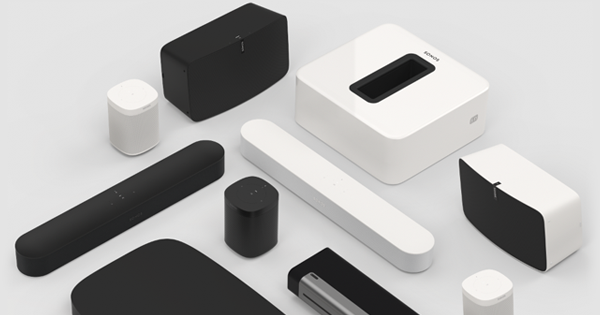 “How Sonos Built the Perfect Wireless Speaker,” Bloomberg, Ryan Bradley, October 30, 2014. “The Story Behind the Wireless Music System 10 Years in the Making,” Mashable, Amy-Mae Elliot, December 8, 2011. “How a Beatles producer is helping Sonos reimagine the way we hear music,” Fast Company, John Paul Titlow, September 29, 2015. “The Infinite Music Collection,” Joel on Software blog, Joel Spolsky, November 9, 2006. "Gadget That 'Streams' Music Around House Is Terrific but Pricey," The Wall Street Journal, Walt Mossberg, February 24, 2005.